Previous post: Seriously what’s with the look on that passenger’s face! Next post: Could this be a flight attendant crash pad? 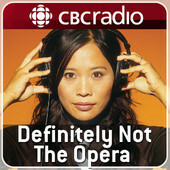 Here’s a podcast of the show Definitely Not the Opera that Sharon mentioned above. The entire episode is really interesting. If you’re short on time, my segment starts at 38.48. Check it out! Definitely Not The Opera – How people change up in the air.